CO-CREATORS is a community for those who champion enterprise and entrepreneurship, value meaningful human connections and embrace collaboration. Young, aspiring people, who have a can-do attitude, take the courage to turn their strengths, passion and purpose in life into real-life projects and businesses to foster innovation and have a positive impact on their community and beyond. We bring together student societies, young entrepreneurs, leading thinkers and educators. What you showcase is up to you but we look for people who are interested in co-creating a learning culture based on productivity, collaboration and growth. We create a sense of a learning community that gives the opportunity to voice achievements, share knowledge, shape learning experiences, build and expand networks and develop 21st Century survival skills, while also opening up the chance to co-create meaningful initiatives with social, cultural and financial impact. We look for peer-to-peer learning opportunities that enrich our experience and our lives. Showcase your society achievements and team’s talents, your entrepreneurial journey or insightful, educational pieces of work. Build deep connections with like-minded people and share your knowledge, reflect, learn from others and collaborate with aspiring entrepreneurial minds, to make great ideas happen. Want to contribute to CO-CREATORS? Read on to find out what we’re looking for and how you can get involved. We always look out for student societies, young entrepreneurs and leading thinkers who work tirelessly to support others, are open to exchanging knowledge, to give back to their communities and who champion enterprise and entrepreneurship. Ever wanted to be part of a leaders community which champions enterprise and entrepreneurship, values meaningful human connections and embraces collaboration? 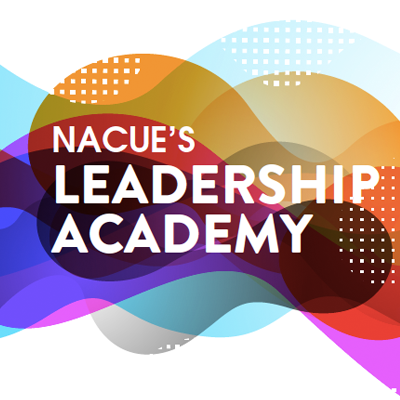 NACUE Leadership Academy is a new one year peer-to-peer learning programme, from September to June, specifically designed for student enterprise societies, who want to start, develop or take their societies to the next level.